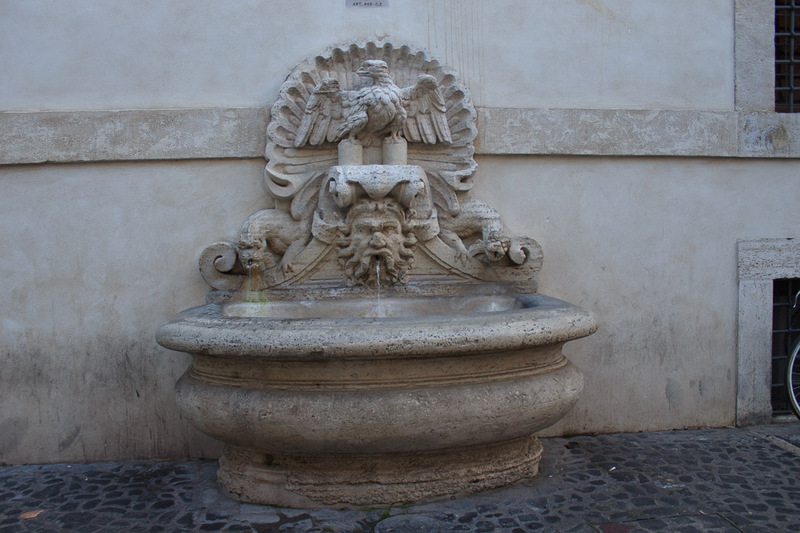 The Fountain of Palazzo del Monte di Pieta, from the early 1600's, is a small wall fountain on the northwest face of the Palazzo del Monte di Pieta. 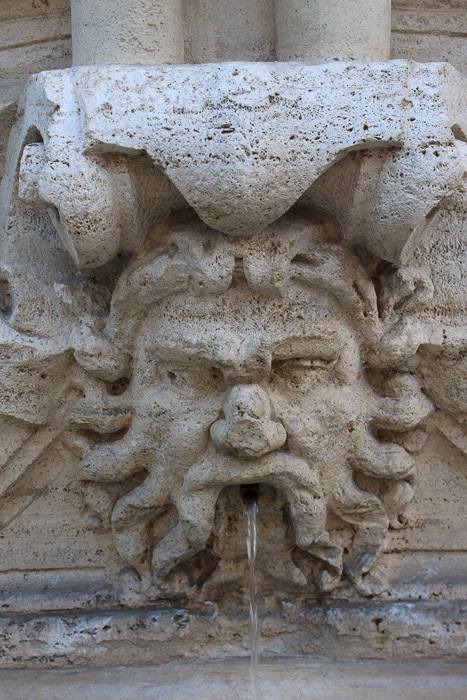 A small bowl is fed from the water trickling from the mouth of a grotesque face. 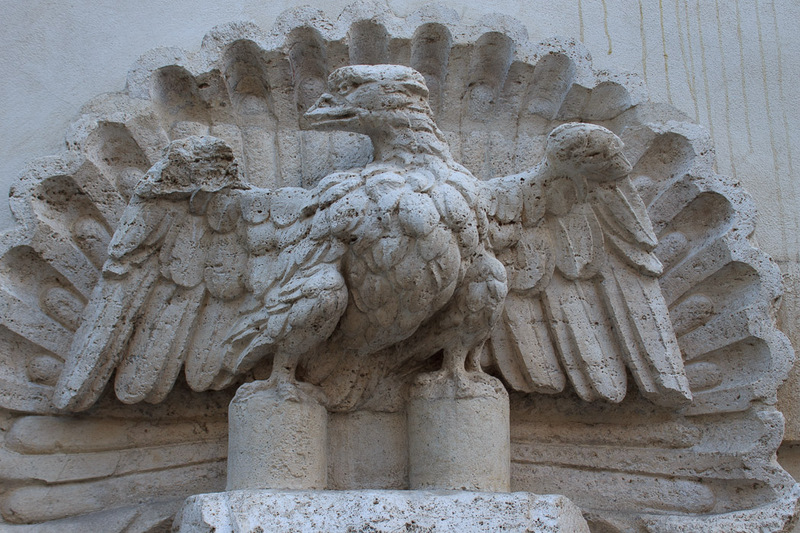 An eagle stands on a platform above the face, and dragons, which also spew water from their mouths, are on either side of the face. 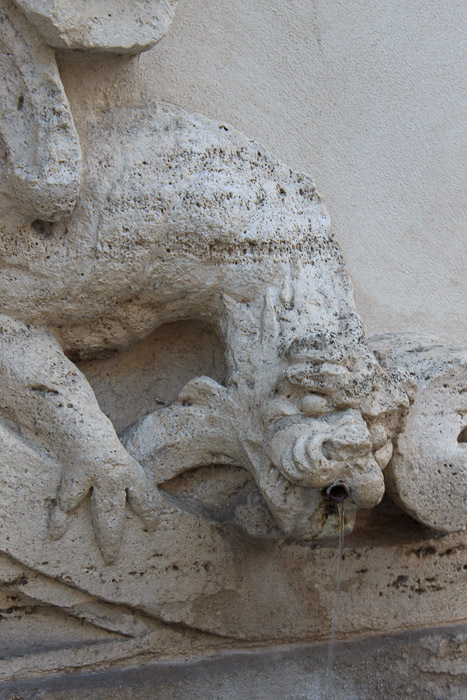 See all Fountain of Palazzo del Monte di Pieta photos.